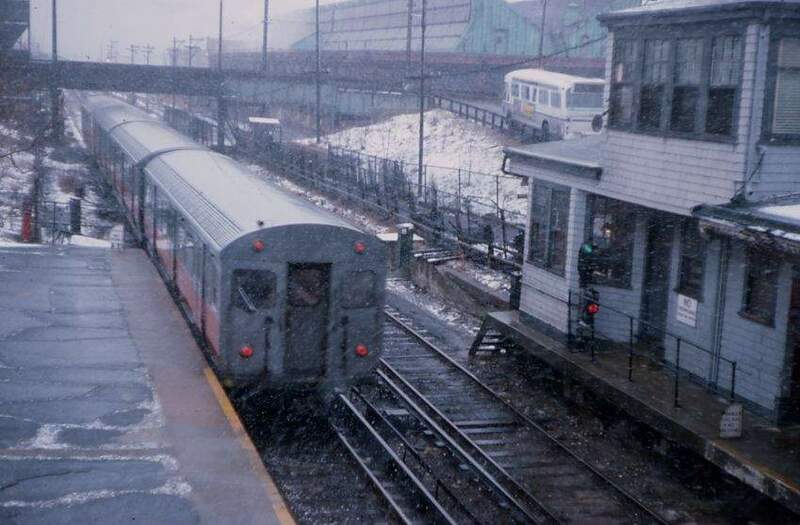 Shortly before the abandonment of the Charlestown Elevated, an MBTA Orange Line train pulls into Everett station, the end of the line. I believe this picture was taken on the final day of operation, a train or two before the final run. Photographed by Ronald Karr, April, 1975. Added to the photo archive by Ronald Karr, July 27, 2002.